We provide the largest selection of high-quality window films & tints in the Houston area so, let us help you find the perfect window film for your home or commercial property! 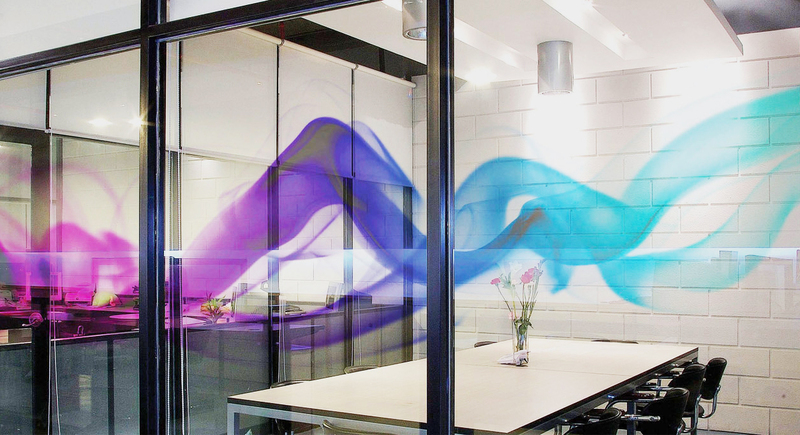 The window film industry is constantly evolving to fit more areas of daily life than ever before. Now, window film serves a plethora of purposes for homes and commercial locations that are changing the way people live–for the better. From applications like lowering utility bills to battle skyrocketing energy costs to keeping the general public safe in an era of increased security threats, window film is an invisible barrier that protects us every day. At Window Film Houston, we have established strong partnerships in our 10+ years in business which ensures we have the film or tint you need to solve any problem related to your windows and even other flat surfaces. Brands like 3M, Llumar and Vista Films are just some of the names you can trust to keep your home or business safe and healthy. Beyond our vast selection, is our commitment to impeccable customer service and our attention to every small detail that makes us the window film contractor of choice for Houston and all of the surrounding area. 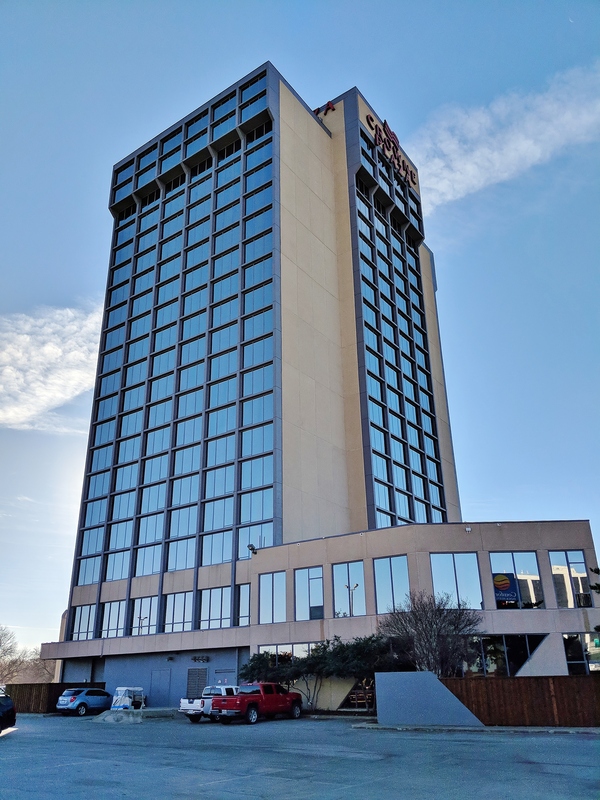 Regardless of whether you are a commercial property owner looking to lower utility costs or a homeowner looking to get rid of the glare on the windows of your favorite room, window tints, installed by Window Film Houston, will help you achieve your solar goals. We have the best window tint specialists in the area too, so you know your window tint application will be effective and durable for years to come. Additionally, we carry some of window tinting technology’s finest innovations to meet your needs so we are able to solve nearly any problem related to your windows in your home or commercial location. At Window Film Houston, we have applied tens of thousands of feet of window tints and films over the last decade and we know what it takes to get the job right the first time, on time, every time–something you may not get with other window film installers. Our superior customer service, coupled with a smooth application process means zero frustration and little, if any, downtime for your commercial location or home. Window Film Houston is acclaimed for providing innovative, affordable window film solutions for both residential and commercial applications. We’re proud to help our community transform dysfunctional, existing rooms into practical, comfortable spaces. Our award winning customer service sets us apart from other window film contractors. Experience the Scottish Difference and discover solutions with a great ROI. There are some instances in life when having privacy is necessary. You should be able to feel comfortable at home or meeting with your employees at work. Window tint provides privacy for areas where a higher level of seclusion and privacy is desired like conference rooms, restroom/shower areas, waiting rooms, and bedroom windows. It’s available in a wide range of styles, is affordable, and is also highly aesthetically pleasing. Learn more about privacy window film. Glare can be the most distracting thing in the world when you’re trying to concentrate your attention and focus on a particular matter or event. Having your windows tinted can make screen viewing activities like watching tv and working on the computer more comfortable and enjoyable. It blocks solar glare and bright light, prevents eye strain, and eliminates distraction that causes a loss in energy levels and productivity. 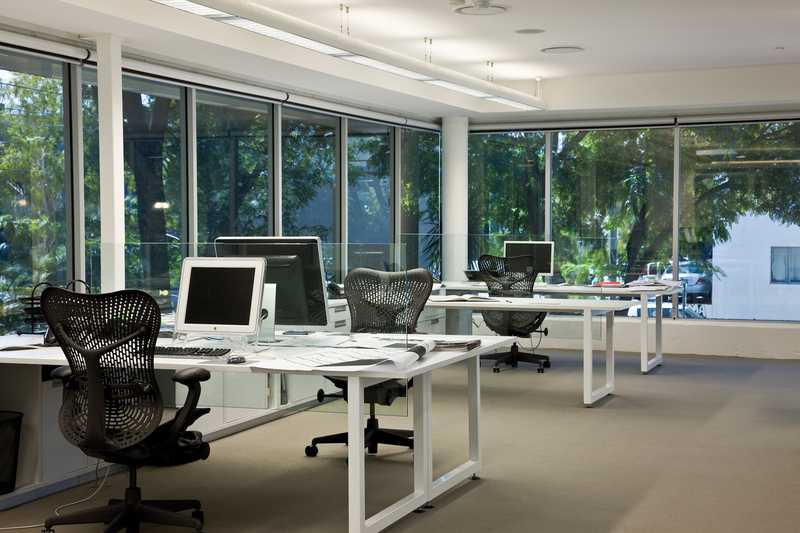 Learn more about glare reduction window film. When it gets hot outside, your windows absorb heat which is transferred into your building and causes your hvac system to work harder to cool things down, costing a fortune in utility costs. Window tinting saves up to 30% on energy costs annually. By using spectrally selective technology and heat blocking ceramic and metal particles, window tint filters light and rejects unwanted infrared heat and uv rays. 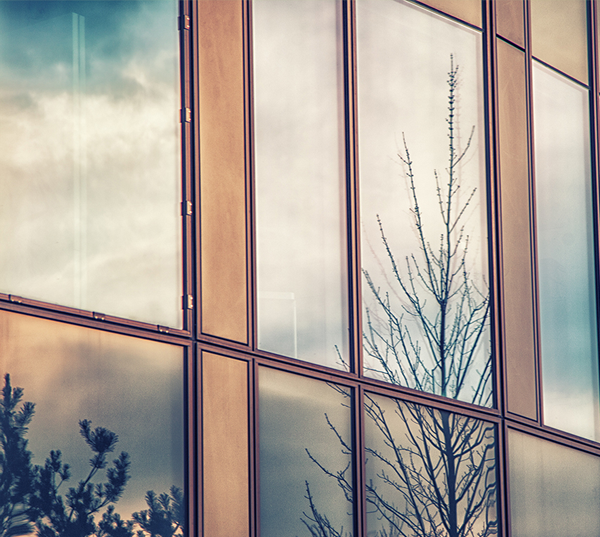 Learn more about energy saving window film. Did you know that your skin and belongings are just as much exposed to uv radiation indoors as they are outside? When the sun penetrates your windows, it brings uv radiation with it, wreaking havoc on your skin, eyes, and personal belongings. Tinting your windows can help keep your furniture and flooring looking newer for a longer period of time. Window tint blocks out 99.9% of uv rays that cause colors to fade and lose their vibrant appearance. Additionally, it also prevents heat damage and keeps wood panels from cracking, splitting, and warping. Learn more about uv protection window film. There’s nothing that steers people away as quickly as graffiti. Graffiti can make your place look unsafe, unclean, and worn down, and scare people off from wanting to return to your school or business. Anti graffiti window films protect metal signs, elevators, and bathroom mirrors from being damaged by graffiti. Graffiti protective films help save money on repairs and discreetly cover up scratches, marker, paint, and etching, making surfaces look like brand new. 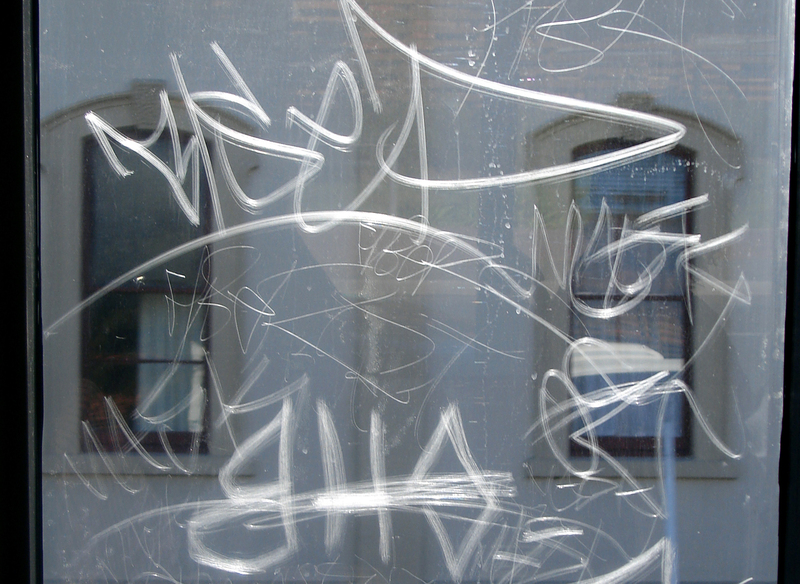 Learn more about anti graffiti window film. Learn more about decorative window film. Thanks to recent developments in window tinting technology, the ability to strengthen glass and make it resistant to high impact forces has now become a reality. Ballistic resistant window film systems provide schools, office buildings, and commercial properties with an advanced level of security. By using the power of nanotechnology, ballistic resistant window film alters glass at the molecular level to make it stronger and more resistant to impact. 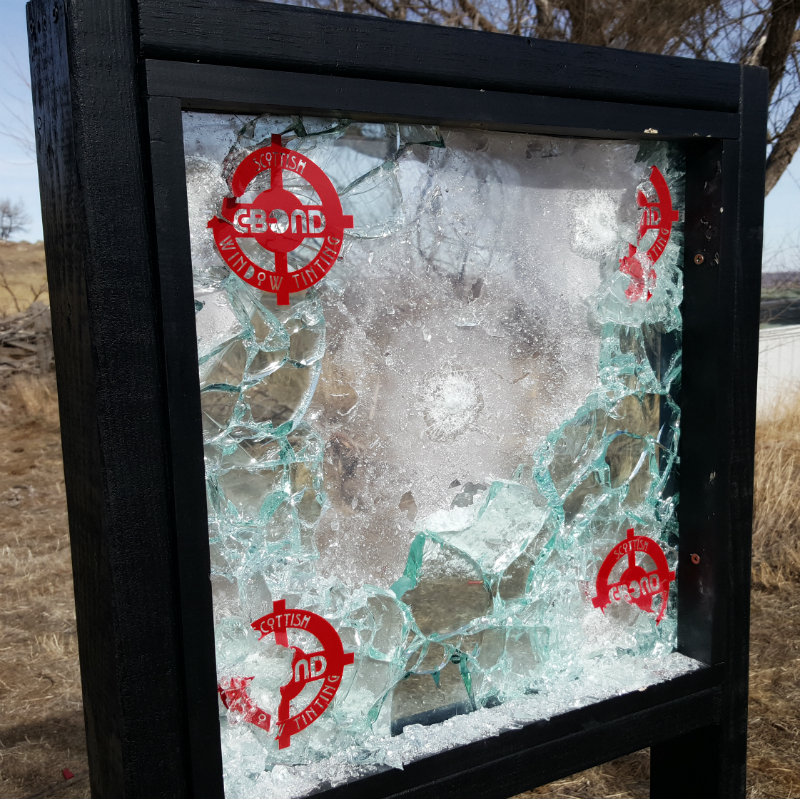 Learn more about ballistic resistant window film. Bomb blast protection window films are one of the most advanced security window films existing on today’s market. 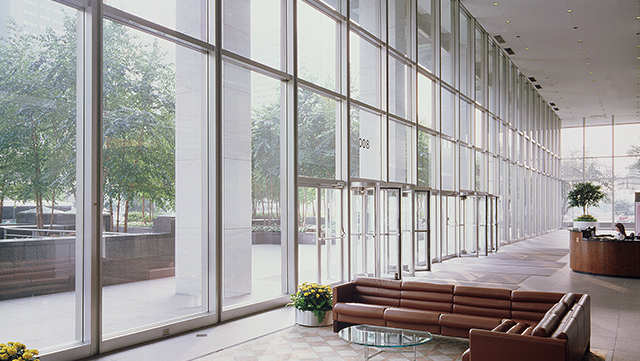 These durable window film systems absorb impact and mitigate damage caused by explosions, keeping building occupants and interiors safe. By installing a bomb blast protection film, you can keep your students and/.or employees safe, minimize operation downtime, and avoid incurring expenses for repairing damaged items or surfaces. 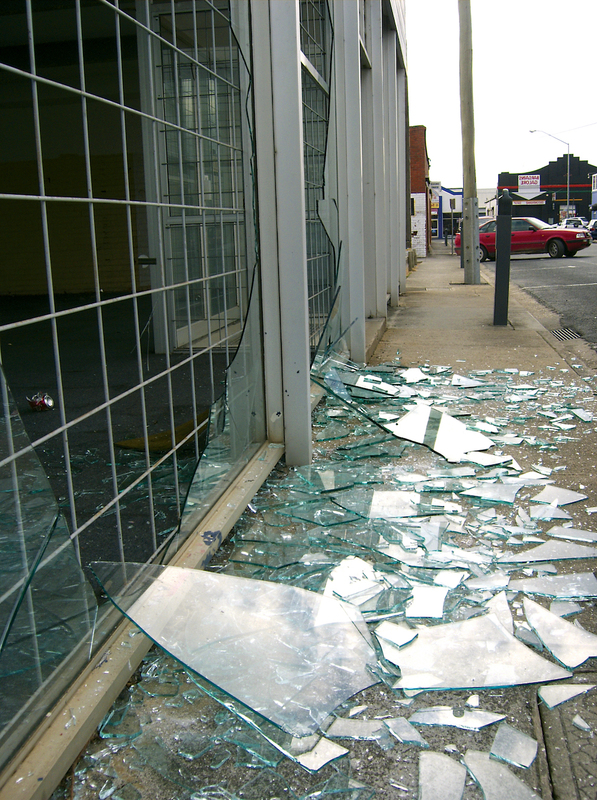 Learn more about bomb blast protection window film. The exterior of your building takes a beating over the years. Constant sun, moisture, and uv rays beat down on your windows, slowly causing them to degrade and lose insulation. Window film offers an easy, cost friendly solution for exterior glass resurfacing. 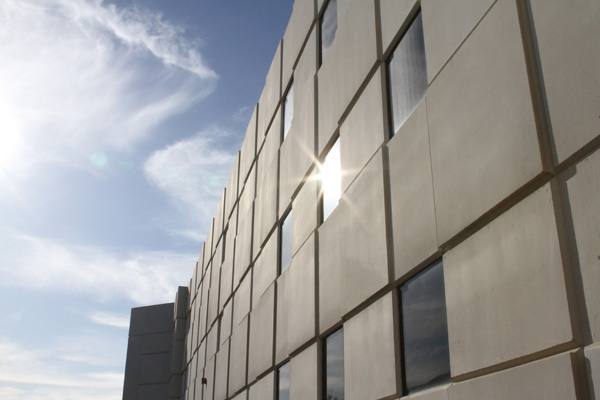 When applied to the exterior of a building, window film conceals cracks, chips, and imperfections in glass and improves window energy efficiency. Learn more about exterior refinishing window film. No one wants to use an elevator that looks unsafe or unclean. 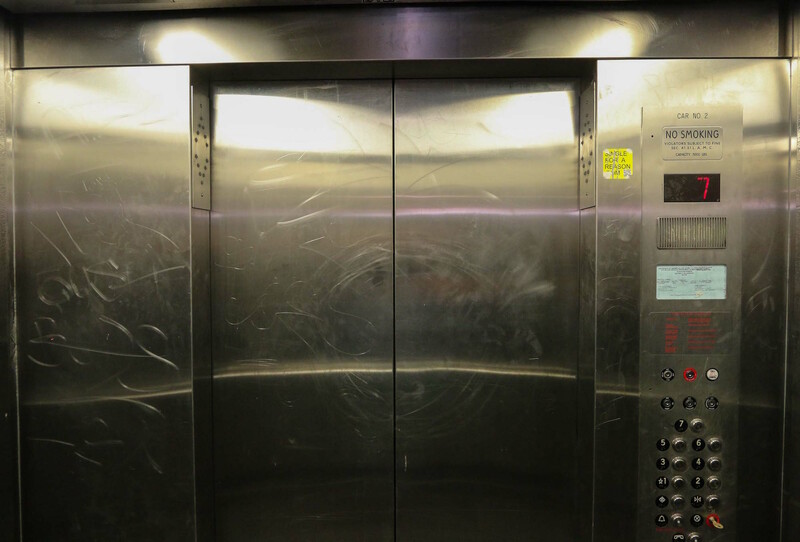 Tarnished or scratched metal surfaces make your elevator look unsightly and can give off the wrong impression about your business. With window film, elevator refinishing is affordable and hassle free. Window film conceals scratches and dents in elevators, making them look newer, cleaner, and more aesthetically pleasing. Learn more about window film for elevator refinishing. 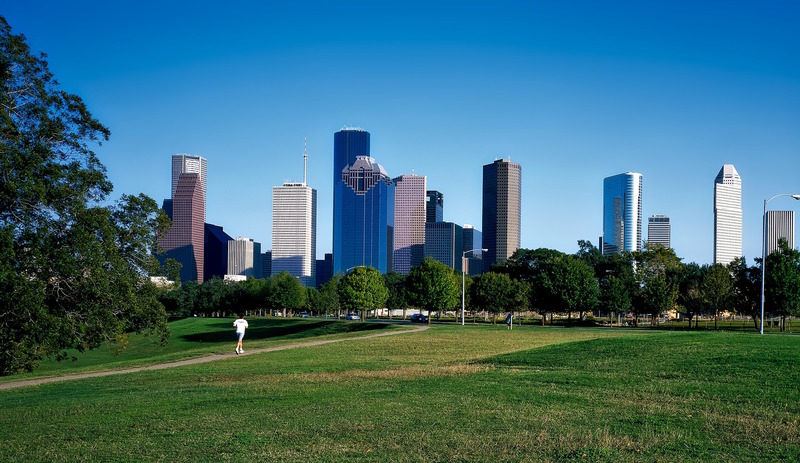 Window Film Houston is proud to be the leading source for residential and commercial window tinting in the Houston metropolitan area. 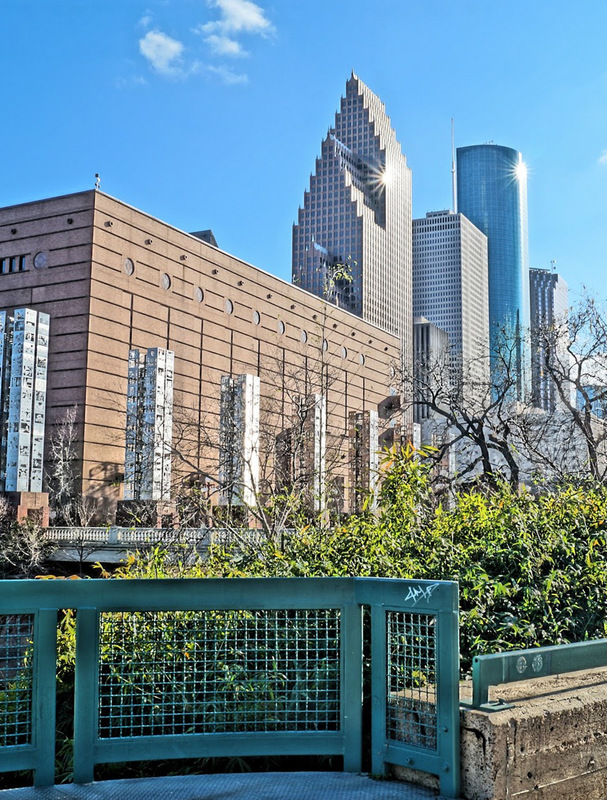 Whether you need energy saving film for your Bellaire home, anti graffiti or security film for office or restaurant in downtown Houston, or are exploring decorative tinting options, we are your go to source! 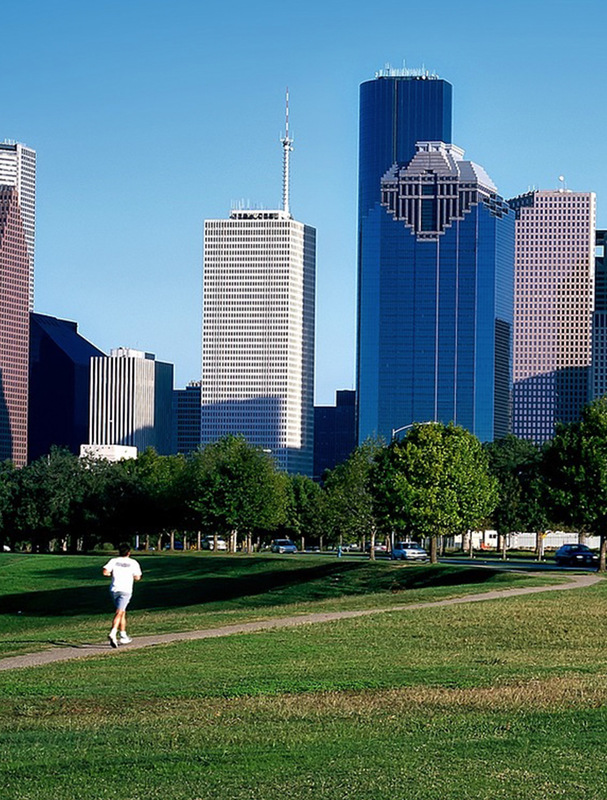 We serve the entire Houston metro area, including the cities of Sugar Land, League City, Baytown, and Spring, and are ready to go to work for you! Call us today to schedule your free consultation or receive an estimate. For more information on the process, products and pricing, contact Window Film Houston today for a free, on-site consultation with one of our window film experts.